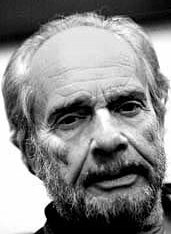 WAIST HIGH: Merle Haggard: For The Record. Merle Haggard: For The Record. From AOL's Celebrity Quote of the Day: "I'm always working on my new material, but it is hard to do it with any inspiration knowing that you are not going to be played because you don't have a pretty belly button."